Bonjour from La Mercerie, the place with the best croissants in Vienna! We fell in love with La Mercerie months ago. It was love at first sight and bite. This lovely French style bakery, located in our favorite 9th district, was opened in a space that used to be an old pharmacy. The interior is very unique, with vintage charm and the most wonderful scent ever – that of a freshly baked baguette and croissants. 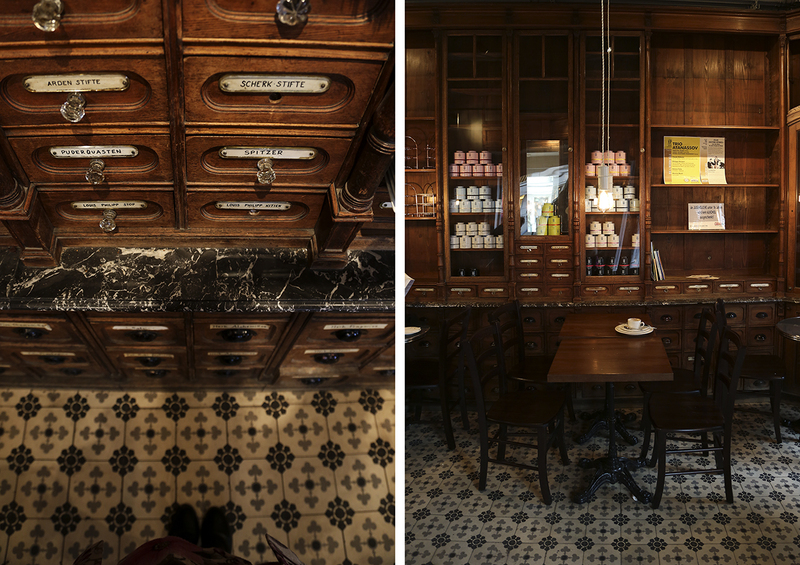 We had to share a place like La Mercerie for many reasons. First of all, they indeed have in our opinion absolutely the best croissants in Vienna. 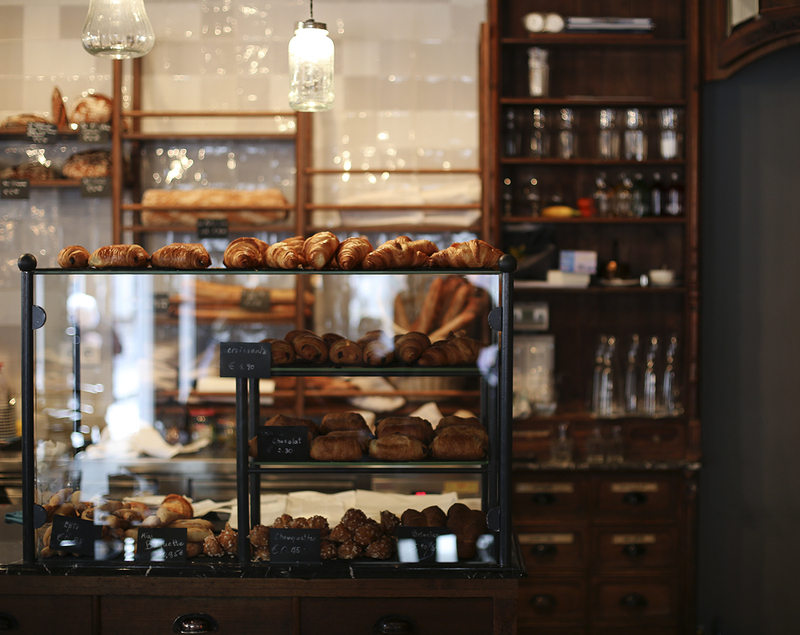 The staff told us that the croissants are imported from France and baked right in La Mercerie. 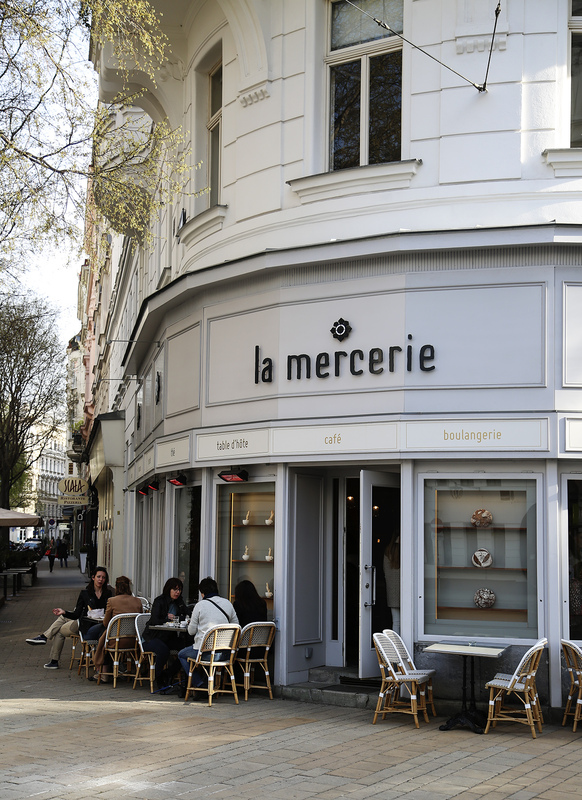 Second, reason is that La Mercerie is a real insider spot – it is a place for the locals [or smart tourists, following Vienna based bloggers :D], and a place with no website, no Facebook, basically no advertisement! And yet La Mercerie is almost always full, proving that the word of mouth is more than enough to run your business in a successful way. No wonder, since they have all the ingredients for this [secret] formula – great pastry, appealing and unique interiors, good location and [drum-roll] p e r f e c t service! 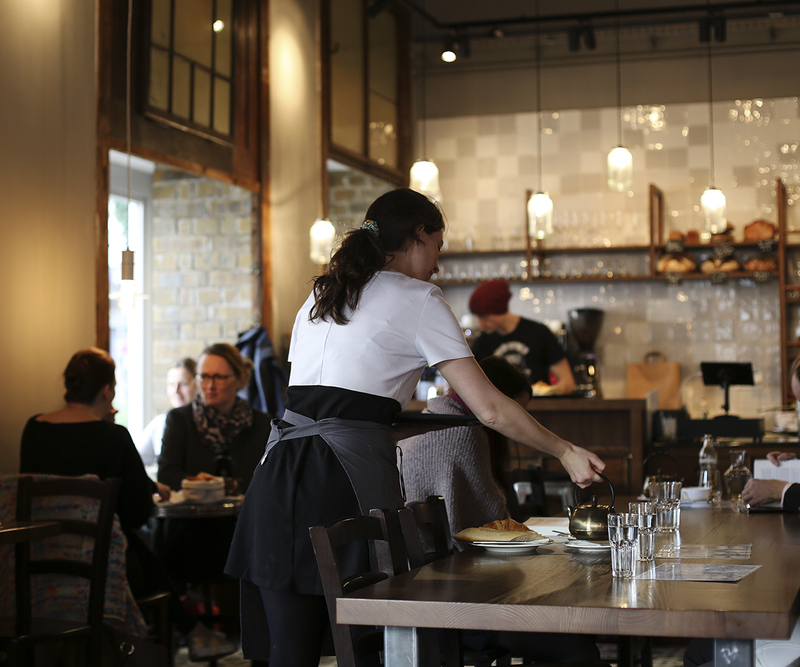 The girls working at La Mercerie are so charming and always welcoming you with a big smile. This is what adds the cherry on the top of overall tasty and relaxed experience at this beautiful bakery. Last, but not the least – the prices are very, very fair! 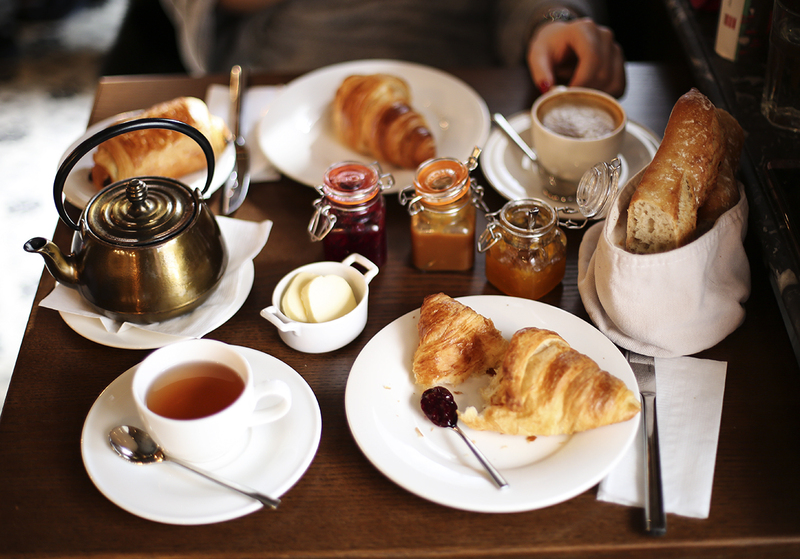 Our favorite breakfast here is the one with croissant, piece of baguette, butter, three spreads (apricot jam, cherry jam and the best ever caramel sauce) and a drink of choice (coffee or tea), which costs somewhere around 5-6 Euros. 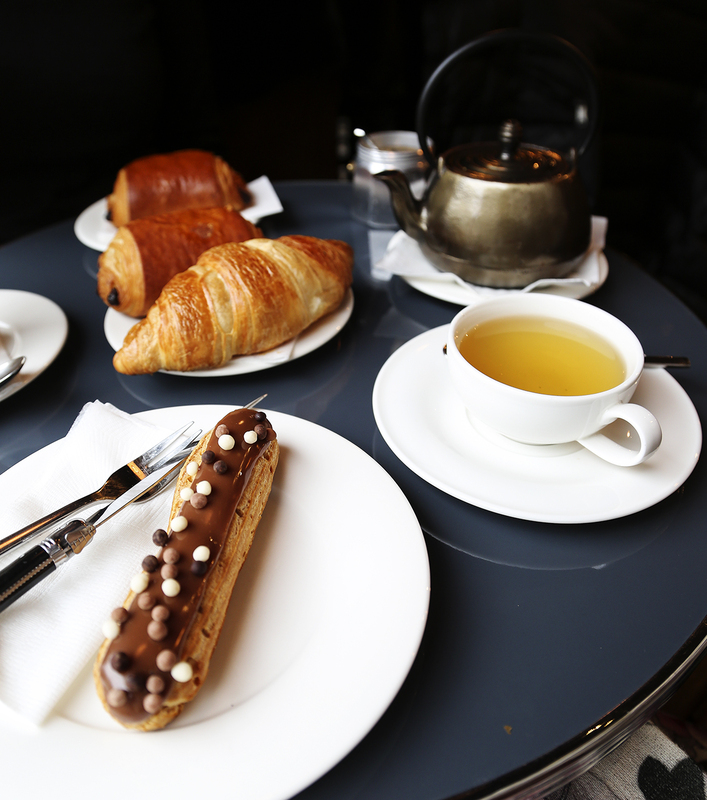 If only having a croissant for breakfast every single day was not “dangerous” for our figure (especially now, that summer is around the corner :D), we could seriously have this breakfast day after day. They also have some other things like quiche, salads and so on, but since now, we always had only the sweet things. But once we try something else, we will update the post. The only struggle with La Mercerie is to get the window seat, where you can create all those Insta perfect pictures. We only managed to get it once, when we first went there. Next time we wanted to wait, but gave up in 3 minutes, because our inner foodie prevailed against inner Insta addict. 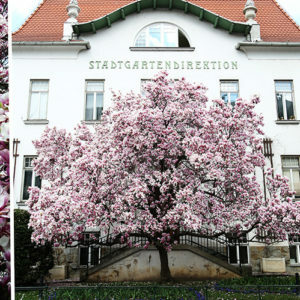 So whenever you are craving something French, want to feel Parisian in the middle of Vienna, you know where to go! 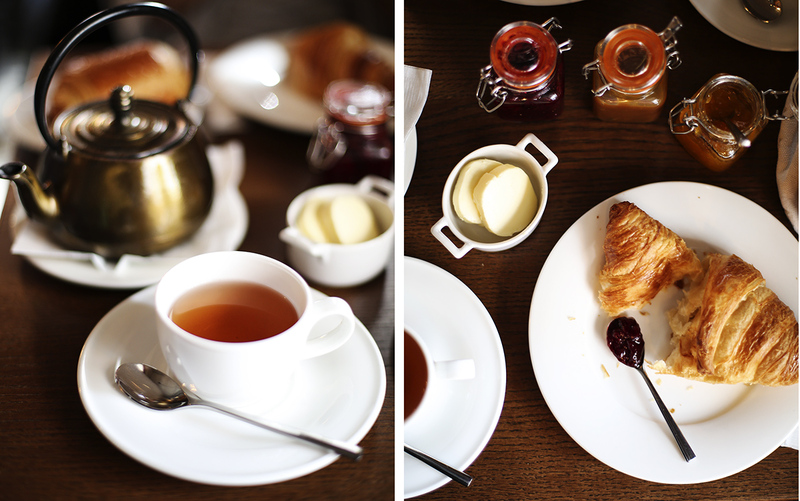 Try the breakfast we mentioned, and take a pain au chocolat to go! 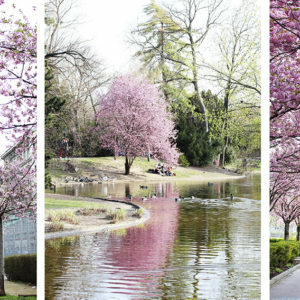 Wonderful story and pictures showing the atmosphere of this place. I like the spirit you are describing, and the food looks delicious. Breakfast and brunch is also a hobby of mine, and we enjoy finding and trying new restaurants and cafes. 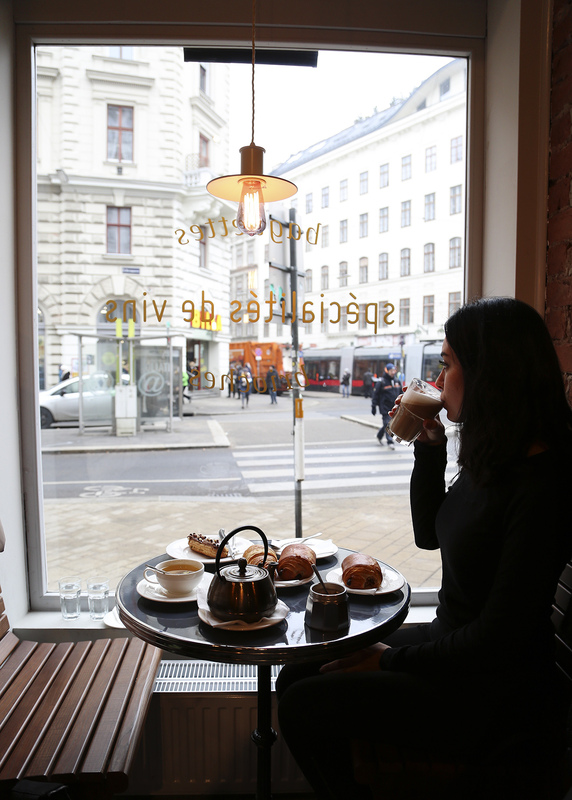 Great article, but I have to debate the comment about best croissants in Vienna – they are certainly to be found in PAREMI.